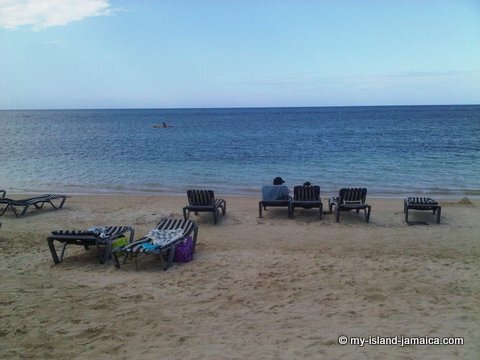 A visitor simply cannot leave the island without basking under the bright yellow sun at one of our amazing beaches. 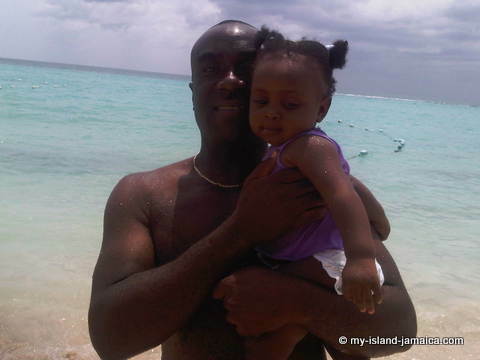 The Aqua Sol Beach & Theme Park located along the "Hip Strip" of Montego Bay is an excellent family beach. It houses concession stands, changing rooms, shower stalls, tennis courts and a hair salon. This beach experience is topped off by an indoor entertainment centre where you can play a game of pool while enjoying lunch and a drink with live music. 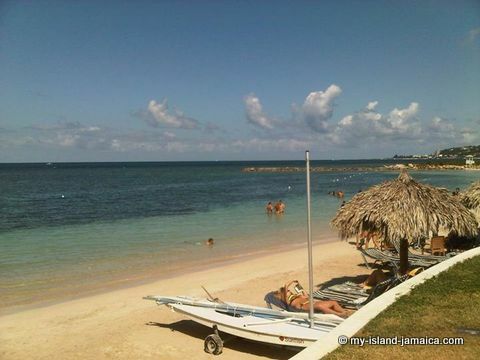 The Cornwall Beach is another beach located along the famous "Hip Strip" of Montego Bay. It hosts a variety of concession stands, water sports and musical entertainment for the entire family. This beach has a private entrance and takes pride in keeping guests entertained. Along the Hip Strip we also have the Doctors Cave Beach affiliated with the Doctors Cave Hotel but is open to the public also. This beach boasts hot dog stands, concession stands, shower stalls, changing rooms and a hair salon. The waters of this beach are a mixture of natural spring waters and the ocean as there is a spring that runs from a cave directly into the ocean. More on Doctor's Cave. The Boston Bay Beach located in Port Antonio is a beautiful setting amid almond trees. This is a small and quaint beach where you can get an array of choices in jerk pork and jerk chicken from the snack stands. This is secluded therefore it’s never too crowded. I have a few pictures (see Great Huts) on our facebook fan page. The Frenchman’s Bay Beach in Port Antonio also boasts an abundance of trees. This quaint beach spot not only provides great spots for laying down your towel and sunbathing but is also a great beach for swimming and surfing. Again in Port Antonio, the Blue Lagoon Beach beckons. This beach has earned its name because of how blue the water is. It’s reflection of the sky is twice as much and makes it even more inviting. The Blue Lagoon Beach is an excellent swimming location and is cognizant of an untouched oasis. The Cardiff Hall Beach which is located in St. Ann is set in the middle of a secluded countryside. If you are looking for a quiet get away, this is the beach to visit. You can sit, read and sunbathe all day long. 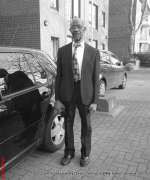 You are liable to get lost in your thoughts while soaking up the cool, relaxed atmosphere. 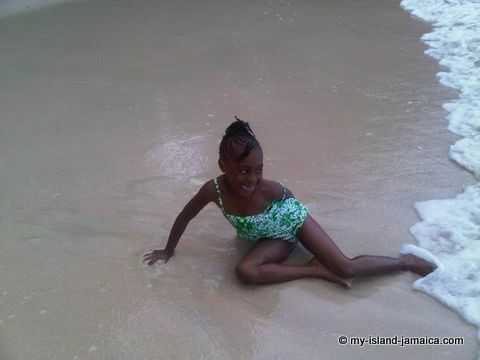 The Dunn’s River Beach is located at the famous Dunn’s River Falls in St. Ann and is a pleasure to swim in. This beach is birthed from the waters rolling down the falls and meeting the ocean at a perfect spot. The warm and cold tropical waters have a nice soft red colored sand that makes relaxing in it even better. The Fairy Hill Beach located in Port Antonio is a tranquil, quiet beach where there are no lines to get to the beach front and there is no crowding when you’re swimming. This is an informal beach with a wide variety of dining facilities nearby. And, if you are too relaxed to move, feel free to place your order and have your meal brought to you right there on the beachfront. Fort Clarence Beach is located near in the country’s capital and does not bring with it the beauty of the other beaches but its black sands and buzzing activities around the beach is enough to make a beach-goer not want to leave. Grande Beach is a secluded beach that is great for a getaway. Located in St. Ann, this beach is popular for parasailing. In addition to para sailing, the guest can partake in diving from small cliffs located along this small beach. Gunboat Beach is not a swimming beach but more like an entertainment and hanging out spot for locals. This beach is located near Portmore and boasts numerous food stands and live entertainment. This beach is a buzz of activities on weekends and guests are there until wee hours of the morning. Hillshire Beach is a narrow beach located near Portmore. This is a nice beach by day and a popular site for beauty contests, concerts and other entertainment activities at nights. This beach is packed with an abundance of local food and gift vendors. 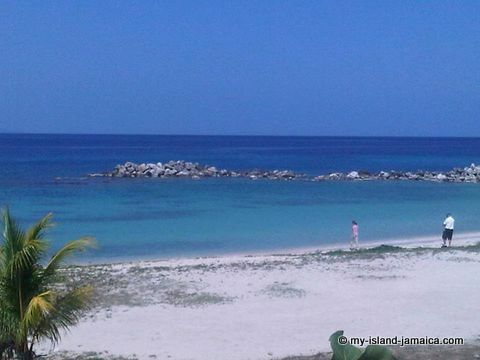 James Bond Beach is located near Port Maria and boasts beautiful views and a tropical setting. The clear waters afford the privilege of seeing underwater creatures going about their daily swim. Glass bottom boats and kayaks are very popular at this beach. It got its’ name from the writer Ian Fleming who spent a lot of time swimming at this beach. Lime Cay Beach is located on an island off the shores of Kingston. It is a completely secluded beach. Because of its location, the best route to this beach is to travel to historic Port Royal and take a boat ride over. Visiting the Lime Cay Beach is an adventure within itself. If you prefer the beach activities to going into the water, then this is the beach for you. Bathing and water sports is the order of the day for this beach. Mallards Beach is located in the centre of Ocho Rios. This is a narrow stretch of beach with soft sand, gorgeous vistas and warm tropical waters. Cruise ship passengers and guests of the surrounding hotels frequent this beautiful beach. The Salem Paradise Beach has a natural beauty that is awesome. 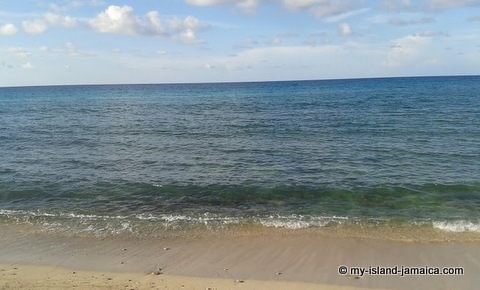 Located close to Runaway Bay, it is a secluded beach which allows privacy. It has its own personality. It is a narrow beach with a setting of trees hanging by the shore side. With these trees, it is difficult for one to even get sun burned. San San Beach in Port Antonio is excellent for snorkeling and has a small bed of protected coral reefs. These reefs make it a popular beach for scuba diving as lovers of under water creatures can safely observe the wild life and by scuba diving. The Seven Mile Beach is a vast area in Negril filled with miles of golden sands. Added to this, there are majestic cliffs stretching all along this region and climaxing with an old lighthouse at the end of the seven-mile stretch. This area is well loved and has proven to be a Mecca for beach lovers. 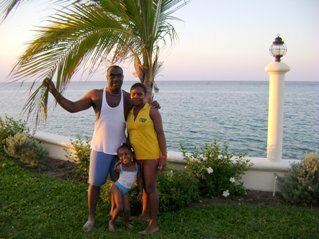 Turtle Beach is a cozy coastline beach near Ocho Rios. This beach is surrounded by Hotels and water sports are quite popular here. 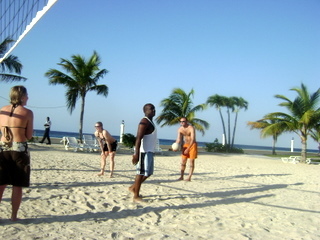 With the cool winds and soft sands, this beach is practically in the Caribbean Sea and thus welcomes all water sports. It is quite popular for water biking, scuba diving and jet skiing. 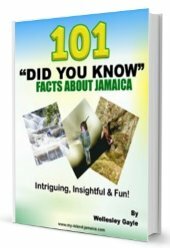 These are only a few of the popular "watering holes" in Jamaica, there are also great Jamaican beaches on the South Coast such as Font Hill and the Bluefield’s Beach. With an island nestled in the warm waters of the Caribbean Sea, it is no surprise that our Jamaican beaches are just as warm, beautiful and magnificent! 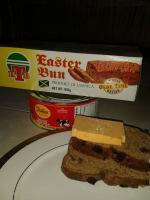 From here ( Jamaican Beaches ), please visit our exciting Discussion Forums and share in the fun.